In addition, landowners and developers rely on our urban planners’ GIS expertise. 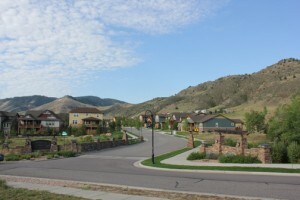 Our planners have developed a thorough and efficient process for: generating high-quality, detailed property maps for marketing campaigns; making property exhibits to educate the public; developing displays to secure municipal approval, helping with master plans; creating supporting documents for rezoning applications and land-use hearings; and producing land-market analyses. Celebrating 50 years of service and attaining recognition as the #1 Ford retailer in the country are significant milestones for this family-owned business. 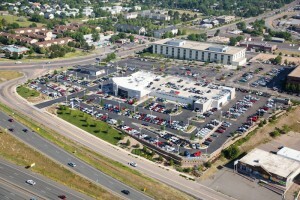 Baseline contributed to Lakewood Fordland’s history by working on its 60,000 square-foot, state-of-the-art facility at 6th Avenue and Simms in Lakewood, Colorado. While driving west on 6th Avenue, it’s easy to notice the large retaining wall. What’s less noticeable is the huge, underground detention system behind the wall and under all the new cars. We maximized the site by putting the detention underground. We also added porous, landscape detention everywhere.